DIRECTIONS: This cemetery is located just south of the Canadian Border, about 2 miles north of Cooks Mills, on a road running parallel to and east of the Chateaugay River. 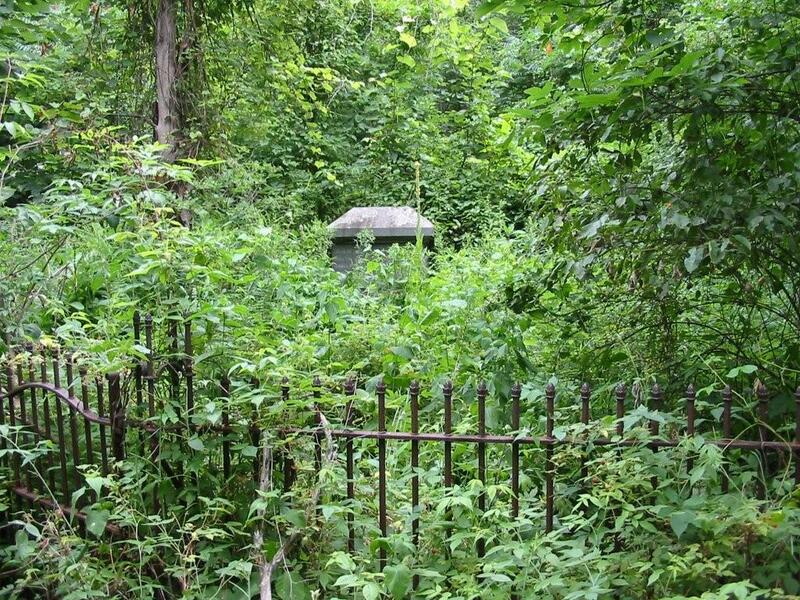 McLellan wrote: "Surrounded by iron fence -- overgrown -- about 100 feet in field (pasture). Not shown in topo map." This cemetery was visited by W. McLellan July 16, 1949. This transcription was compared to a later one compiled by Elizabeth Menke & Eunice vanEss. Discrepencies are indicated in red. When Mike & I attempted to photograph this cemetery, we were unable to gain access to the area. It is on posted property and there is a locked chain across the dirt road. Many thanks to Ken Fiebke for sending photographs of these stones! James, Mother, Father, Daniel, Daniel W.
Alonson C. MITCHELL Died March 31, 1851 Aged 31 yr's & 6 mo's.